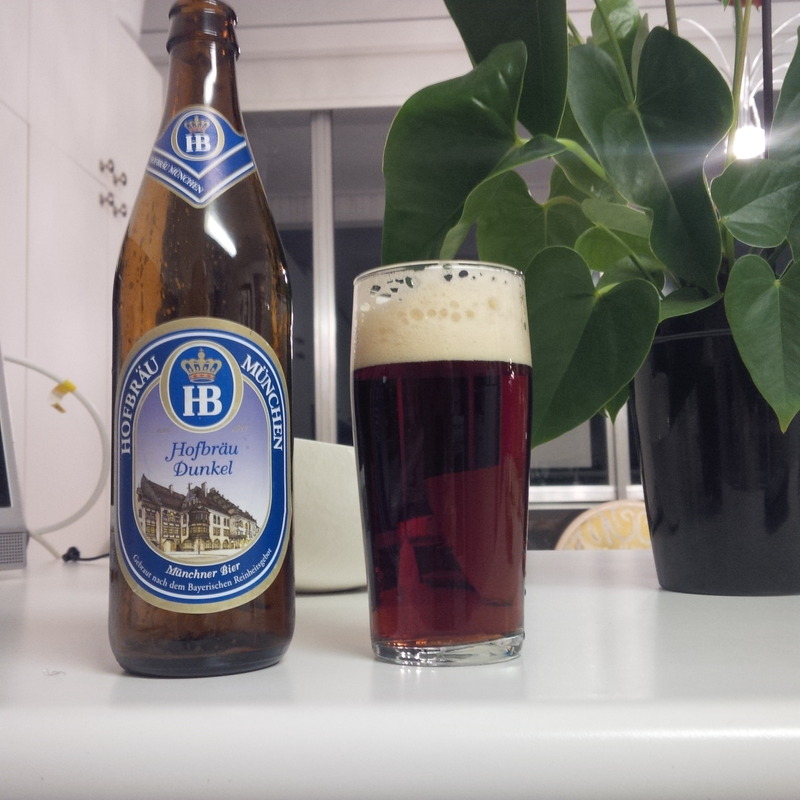 The beer opposite is one of those which still reflect the rich malt qualities of German, all-malt lager. Ayinger is an old Munich-area concern and retains a high reputation for its beers in general. I recall enjoying its dark lager on a trip to Munich some years ago. The one pictured may be its richest beer. 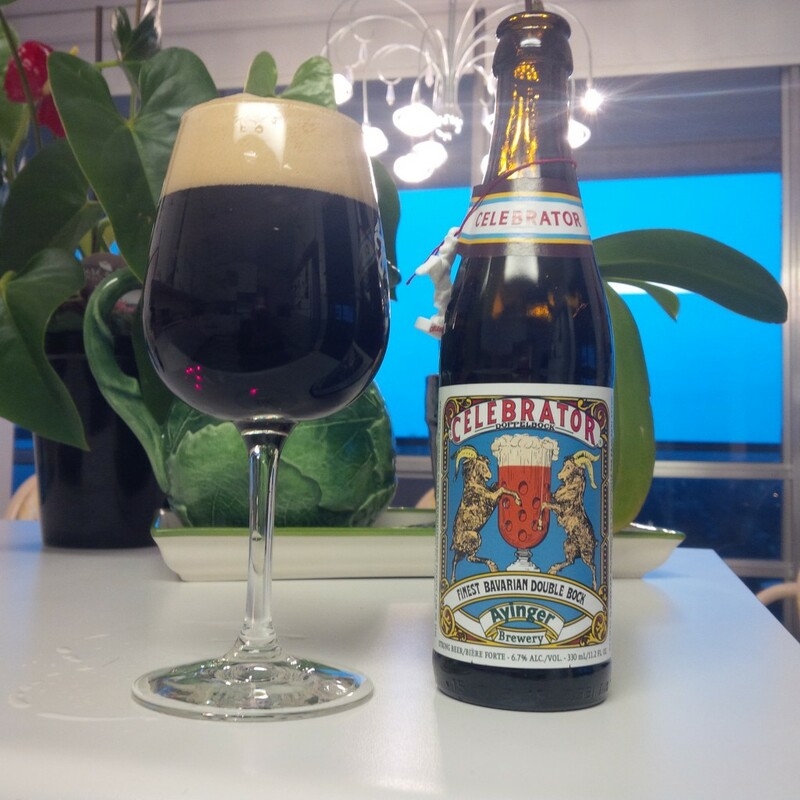 Ayinger, including the Doppelbock shown, has been imported to the States for a long time. Merchant du Vin has been importing it for about 40 years and it is one of the keynote beers which influenced the American beer renaissance. Specifically, when quality ales and lagers were being rediscovered on the West Coast, Ayinger served as a model for its silky and “cascading layers of malt complexity”, as the website puts it. There are elements of coffee, cocoa and black rye bread in the palate, with a good skein of Noble hop bitterness to offset it lightly. The beer is superior on draft, I can recall drinking it in that form in a Seattle brewpub on the water about 20 years ago. No doubt Merchant du Vin, which is based in Seattle, arranged to offer it in that form and rarely did a beer impress as much as that one despite the long distance travelled. The drink in bottled form as we get it in Ontario is more restrained but still an obvious bellwether of quality. A factor here is Ayinger follows a traditional decoction process for the beer, an old-fashioned complex mashing technique which seems to result in beers of unusual complexity and richness. In my posts earlier this week on the German Pure Beer Law, one thing I didn’t mention was the importance of not letting the beer finish at too low a gravity. In other words, if the yeast is allowed to consume almost all the malt sugars, the beer will have a dryish taste that doesn’t really deliver the original Bavarian character. Beer historian Ron Pattinson has done a lot of work to show that on average, lagers were richer circa-1900 than they are today, sometimes by a fair margin. Later in the 20th century, a trend developed, both in Germany and elsewhere, to let beers attenuate ever higher, i.e., to finish their fermentation to taste fairly dry. This probably responded to consumer taste but also was a way to increase alcohol in the bottle without using more malt – you could save money in other words. Beers such as Ayinger Doppelbock still reflect the original sweet clean taste of true lager, and many German beers still do of course. It is good to recall that the pure beer law is only one factor of many in good brewing. One hopes the character of the great pale and dark lagers in Germany, and elsewhere where these traditions serve as inspiration, will be preserved through not fermenting the beers to an undue dryness. And other factors apply too: all beers need a good amount of hops, and the correct ones, and pasteurization should be used sparingly if at all as it can detract from beer flavour. 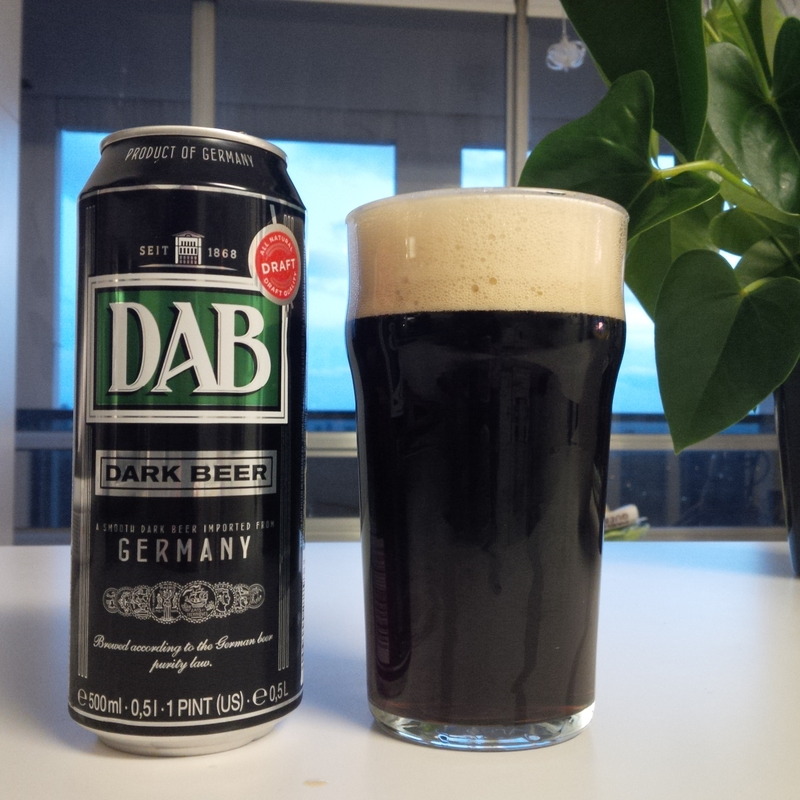 Other imports obtainable locally that have impressed by their malt qualities include DAB Dark and HB’s dark lager. Stiegl, for blonde lager, an Austrian brand, is very good when when fresh, as is the Czech classic Pilsner Urquell. Even Heineken, an all-malt lager, shows decent malt qualities – again when very fresh as all beer needs to be. Spaten’s and Holsten’s brands, to return to Germany, lean to the drier side of things, but can be very good when in optimal condition.